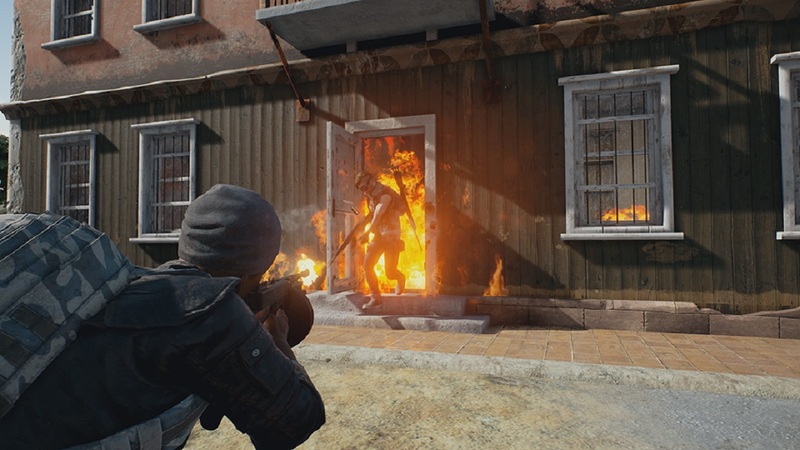 Many people are in search of ways to stop PUBG mobile addiction because they want it. They uninstall, reinstall, uninstall and then again reinstall, and this continues. If you are the one who is really frustrated with this and want to quit PUBG mobile addiction then bare with me throughout this article and I will tell you how exactly you can get rid of PUBG mobile addiction. The game affects mostly the children as their minds and hearts are delicate. They are unaware of much of reality. For some new gamers, PUBG mobile is no longer remaining a game and it is becoming like a disease. It is not only the case with new gamers but also with experienced gamers. This disease-like game is very addictive which is making students its victim. The game is rumored many times to be banned in certain places of India but nothing seems to be on the ground so far. The game is undoubtedly very amazing but its excessiveness is making people crazy, wild and careless about real life. They are too much into games. Undoubtedly, you can’t be pro overnight. Some people have a rather good IQ to respond better to the reaction and control better. However, all are busy proving themselves to be the top shooter. They are spending hours for a chicken dinner which they can have from the nearby shop though IMAO. Playing this game is never bad but the point arises when you excessively play it distracting yourself from the real world. Actually, the game is designed such a way that one can’t avoid it. It may take a few days to come in control and then the journey begins and you are addicted to it whereas the fact of being addicted is unknown to you. So, if you are the one who wants to get rid of PUBG mobile addiction then follow my tips and it will certainly help you to some degree of extent. There can’t be a clear cut guide to get rid of PUBG mobile addiction. For say, if you are a smart student and exams are near then probably you would leave PUBG mobile for the time being. As the goal will be to clear the exams. Right? Pay heed to Smart here. Some students play during the exams to and say I am just relaxing. Anyways let’s continue. In the above example, we found that a goal played a significant role in quitting PUBG mobile addiction, however not thoroughly but for some time. The same way you need to find a goal or say purpose in life. Many people have that but they play, right? Actually, they are not focused on their goal. No.. it can’t be said like that. Because it takes a matter of seconds for our mind to decide for going in a direction. Suppose, your goal is to read the first chapters of the particular subject today. Now, while completing the second chapter your mind can indicate you that you have done so well completing these two why not take some rest(pleasure). And my friend here is the situation where you have to be really strong. This is the turning point. The only thing you need to do here is taking 5 times the name of your goal with your eyes closed. So, the first way was to think about a goal. Now the second way is to manage well. If you have managed your life and time well then most probably you will manage to tackle with PUBG mobile addiction as well. Time management plays a major role in our success. If you calculate it with the perspective of performance then you will be able to easily get rid of PUBG mobile. Now the third way is to dominate your friends with your perception about PUBG mobile or they will easily persuade you to go on a long drive in classic to challenge the enemies. The persuasion should be such a way that they never ask you twice, LOL. Now the fourth way is to take it as SUGAR. It is sugar actually as if you take it excessively, you may have to face the adverse impacts. So, just take it as it is. Take the time to play PUBG mobile as a reward to your daily hard work. Only play it when you have done enough work or give yourself a challenge like “I will play PUBG mobile only after completing these three lessons”. This way you can utilize the PUBG addiction favorably. And as you move towards your work you will be able to tackle with the addiction. If you are adult you probably have some responsibilities to perform which play a major role in distracting you from the excessive play of PUBG mobile. If you are compromising with your responsibilities, take a deep breathe and admit that you are under addiction like any other kid. So, don’t wait for the right time and follow the steps above to get rid of this game as soon as possible. The impact of excessive gaming is adverse when you are a kid. For adults, it is way manageable to have control over your habits. They understand that they are under addiction and they work for it, on the other hand, kids have no idea on which pave they are. PUBG mobile has given streamers a method to have extra income while playing and steaming it online on YouTube, Twitch or other websites. This way they are getting the real reward for playing the game. However, if you are the one inspired by them, think that you will be too be able to earn like them soon then take a step back and calculate the opportunity cost that might be on hold. This way you will be able to calculate the foreseeability of your action. You need to realize that career in gaming is easy but not that easy as you might be thinking, especially in this competitive time. Hope this article will help you make a firm decision and quit the addiction to PUBG mobile. Your time is valuable, manage it, take it as sugar and play PUBG Mobile for fun while avoiding its excessiveness.